For many years, flight reservation was an off-putting, difficult task. As air travel became a viable transportation option in the early 40s, thousands of people became ticket buyers. With the growing number of customers, carriers had to overcome numerous challenges to make booking fast, convenient, and operationally easy. Twenty years or so down the road in the 60s, the whole booking process could be accomplished in minutes – through a travel agent. Fast forward to today – and previously unimaginable – travelers enjoy fully automated ticket booking, reserving and paying for flights using smartphones. Airlines are stuck with a limited number of distribution capabilities as three major players on the market (Amadeus, Sabre, and Travelport) dominate the distribution landscape. It’s still hard for small online travel agencies and other travel distribution businesses to enter the market because such giants as Expedia and Booking Holdings own most of the market. While customer-facing technologies are advanced, some systems and processes under the distribution umbrella are legacy monsters that date their inception to the 70s. In this article, we will look at the history of flight booking: from the beginning of the first semi-automatic systems to modern e-ticketing and online booking. We chose events that depict the gradual change of reservation systems, giving a solid understanding of how airline distribution developed. By looking at this history timeline, you’ll be able to understand, at least partially, how the modern flight reservation market formed. In the 1950s, airlines in the USA and Europe experienced the rapid growth of new customers. Rising demand forced major carriers to seek a solution capable of processing bookings much quicker than it used to be. At that time, airlines used archaic, manual systems that opened access to the airlines’ inventory and allowed for booking tickets via phone calls. A single booking could take about an hour, even more. Ticketing agents were operating with paper cards stored in a rotating tank, manually checking flight and seat availability, filling in passenger info by hand. The whole process was clumsy and slow, making it hard for carriers to process large volumes of bookings. During the late 50s, this issue was partially solved by IBM’s early computerized systems. Those systems included primitive semi-automatic devices as Magnetronic Reservisor and Reserwriter developed by IBM for American Airlines. Both devices represented complicated mechanical computers that could show seat availability. If an agent needed to book a ticket, he or she would put a paper card into the device and fill in all the necessary information. So, the whole process relied heavily on manual input. The growing number of travelers and analog booking forced American Airlines to modernize their booking pipeline. As a result, the first computer reservation system (CRS) was born. In 1957, a meeting of IBM’s salesperson and a former director of American Airlines initiated the development of an automated reservation tool. It was based on SAGE, a ground-control environment developed for the US Air Force. Expertise in military equipment allowed IBM to reuse some of its groundworks for American Airlines and start creating a Semi-automated Business Research Environment or simply SABRE. SABRE became the first computerized booking system and it quickly boosted American’s position in the market. Development was finished in 1964 when SABRE could process over 7,000 bookings per hour with nearly zero error rate. SABRE operated on two IBM mainframes connected with thousands of terminals allowing American Airlines operators to check the inventory and book in seconds. Additionally, for the first time, a reservation system could store passenger information in its memory. American Airlines spent almost 7 years and $40 million (about $350 million today) on SABRE development. But instead of bankrupting American, it helped American occupy leading positions in the market. The success of American’s modernization forced other airlines to join the CRS race. Several US-based carriers contracted IBM to create an alternative to SABRE. As a result, IBM created PARS (Programmed Airline Reservation System). At the end of 1971 nearly all major American carriers, and some Northern European ones, customized PARS to release their own reservation systems. In 1964, for Pan American, IBM built PANAMAC that offered flight and hotel reservations. Next year, in 1965, Eastern airlines launch System One, then Delta Airlines launched DATAS II in 1968. United Airlines had the Apollo reservation system and Trans World Airlines had PARS. As most systems used PARS to some extent, the capabilities of most CRSs were similar. In highly competitive conditions, American’s SABRE and United Airlines Apollo shared the lion’s share of the market belonging to the largest US carriers. Travel agencies got access to CRSs. Seeing the distribution landscape changing, in 1974 Airline Tariff Publishing Company (ATPCO) was formed. ATPCO is one of the most important third-party players in airline distribution even today. 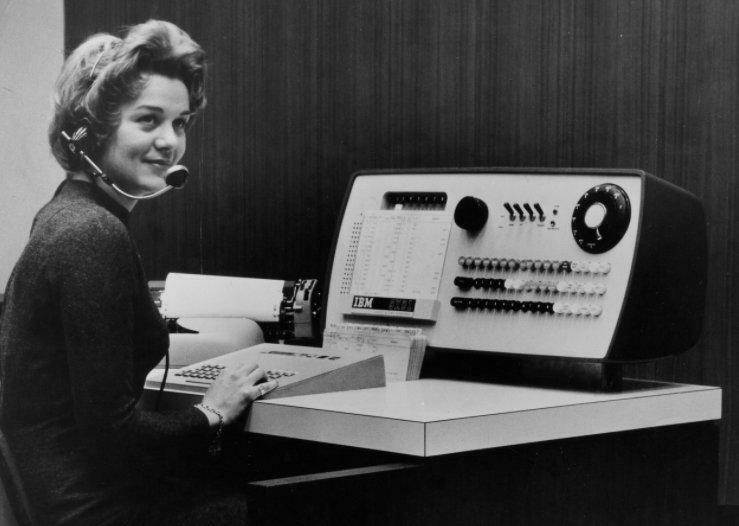 During the 1960s, the company was providing airline tariffs to travel agencies, following its modernization with the first IBM computers installed in 1969. By 1974, ATPCO managed to modernize its hardware, connecting to CRS distribution. At the beginning of the 1970s, nearly all the major carriers in the US launched their reservation systems. Automated reservations enabled airlines to process giant volumes of bookings and increase revenues. The problem arose on the other side of the industry. While airlines were automating the booking process, travel agencies remained fully-manual, keeping all fare information and schedules in a written format. To book a flight, a travel agent had to call a ticket agent at the airline to check seat availability. So, the only way to keep travel agencies updated and capable of selling more tickets was by setting the direct connection to airlines’ CRSs. In 1976, United (Apollo) and American Airlines (SABRE) started selling travel agents access to their reservation systems. Delta, Trans World, and Eastern joined the movement soon. So, instead of a single CRS, travel agencies now had to choose which airlines they wanted to work with. Each carrier offered to travel agents a long-term distribution contract on a monthly fee basis. Due to the contracts, airlines provided terminal installation, software maintenance, and training. Nevertheless, new conditions were unprofitable: travel agencies had to pay for hardware maintenance, reducing costs by making more bookings. Additionally, an agent could not access multiple airlines, being bound to the CRS provider. In 1978, due to the economy and the emergence of new types of jets, the US government decided to deregulate the airline industry. That meant the US government stopped controlling fares, prices, and routes, and market entry. That made the airline industry a free market new players could enter while existing carriers now could set their own prices and establish new routes. Seeing the opportunities, airlines started to share CRSs with non-competing carriers, opening access to multiple airline’s inventories via a single terminal. Carriers that participated in distribution through CRS had to pay a commission to be available through the platform. Those events in the market led to the emergence of a new term: Global Distribution System or GDS. Airlines now gained over 60 percent of bookings from travel agencies. Over 90 percent of all travel agents signed on CRSs by 1985. Due to the high competition, airlines attempted to rank their flights higher on travel agent terminals. This became known as screen biasing. CRS (or GDS, let’s stick to this term from now on) owners boosted their own positions, raising fees for competitors, and delaying schedule and tariff updates. The US government attempted to regulate the actions of distribution systems regarding fight screen biasing. But, during the 1980s, the situation across the GDS oligopoly got worse. In 1984, the Civil Aeronautics Board published regulations that banned certain actions against competitor airlines. The relationship between distribution platform providers and travel agencies was regulated. Reservation systems could no longer contract travel agents for more than 5 years as well as regulate booking fees. ATPCO provided travel agents tariffs via the GDS pipeline, making the pricing dynamic. The tariff publishing model allowed airlines to regulate the prices they set on their tickets. In practice, that approach helped carriers fill aircraft, operating with high revenues. The Official Airline Guide or OAG was a company that had been providing schedule information to travel agents since 1929 and still provides it today. OAG is currently considered to be the most relevant schedule database. During the CRS era, OAG was the only company to obtain and distribute schedules through CRS. But, there was another company named Dittler Brothers that formed during the 20s and emerged as Innovata in 1998. Innovata will become a competitor of OAG, possessing the largest air flight information database. Being cut from the US market, European carriers worked on their own CRSs. Since the beginning of the 60s, there were two CRSs (CORDA by Dutch KLM and SASCO by Scandinavian) that operated across Europe. New systems were forming during the late 70s to the end of the 20th century. Thus, Amadeus, another European GDS emerged in 1987, founded by Lufthansa, Iberia, SAS, and Air France. Amadeus originated from Amadeus Germany (Amadeus IT group these days), a company that provided IT solutions for the airline industry. Also, in 1987, nine leading European carriers including British Airways, KLM Royal Dutch Airlines, and Aer Lingus formed Galileo GDS. Galileo became one of the largest European GDSs, absorbing the following year Travicom GDS, to form Galileo UK. Four years later, in 1992, Galileo merged with US-based Apollo systems, emerging as Galileo International. Meanwhile, in 1990, three major US airlines, Northwest, Delta, and Trans World, founded an international GDS system named Worldspan. CRS of Worldspan was a combination of two earlier systems, DATAS II and PARS. Operating across Europe, US territory, and part of Asia, owning a part of Asian GDS Abacus, Worldspan soon became the third major European GDS, along with Amadeus and Galileo. So, at the beginning of the 90s, GDSs were nothing new. The American market was dominated by SABRE, with other US-based and international systems. Regulations set in 1984 didn’t affect the monopolization of the market. From 1992, the US Department of Transportation (DOT) rolled out new regulations that obliged all airlines to participate in competing GDSs. That point in history can be considered as a complete formation of the GDS-centric distribution model. Travel agencies were allowed to purchase their own hardware and software, being free to distribute any airline. The acts also canceled the minimum-distribution volume imposed on travel agents since the CRS era. In 1993, Accenture, a global management consulting company, founded Navitaire, a distribution system for low-cost carriers. Navitaire tried to be an alternative to GDS but soon became a subsidiary of Amadeus, joining the increasing monopolization trend. Soon, Amadeus absorbed various smaller GDSs, outgrowing the German market to become the largest distribution system in the world. For the next couple of years, the world will see GDSs separating into stand-alone companies. Galileo acquired Apollo systems in 1992 and went public in 1997 as a standalone company. Amadeus absorbed various CRS/GDS systems and became fully operational in 1999, while SABRE separated from American Airlines in 2000. During the 90s, the internet became available for mass users. New opportunities meant that airlines, travel agents, and GDS providers had to go online. Consequently, a new phenomenon appeared. Traditional travel agencies were supported by airlines, which prompted a fast transition to new technology standards with some of the travel agents becoming Online Travel Agencies (OTAs). So for the customers, the emergence of OTAs made it possible to book a flight right from their computers for the first time. Internet connection boosted sales of airline tickets greatly, introducing new tech capabilities. Paper tickets that were issued since the beginning of air transportation were about to become a thing of the past. Ticket operators, who had to print paper tickets when a seat was booked were more than willing to stop doing that – and electronic ticketing was introduced. An electronic ticket is a digital version of a paper ticket, stored in the airline’s reservation system. Those digital records allowed airlines to make the ticketing process cheaper, and easier for future passengers. Customers could now pass the check-in; all you needed were your documents. With the digitalization of the whole booking process, new systems were also appearing. The first known online booking tool was created at the beginning of the 90s, by SABRE and CIS technology provider. A tool named EAASY SABRE was available for CIS subscribers as a closed platform. It was operating with a command-line interface to make bookings via the Internet. But the platform didn’t see any further development and closed in a few years. Seeing big opportunities in online booking, SABRE founded its own online travel agency in 1996. Travelocity became the first website to allow consumers to reserve and purchase tickets through its website. In 1996, Microsoft launched Expedia as its travel division. Three years later, Expedia went public. Worldspan GDS shared its flight content with Microsoft to boost Expedia, as it offered meta-search and booking capabilities. During the second half of the 2010s, Expedia is becoming the second biggest OTA, along with Priceline that also owned Booking.com. In 2018, Priceline Group became Booking Holdings. Innovata was formed in 1998 to provide schedule data and flight content management to travel agents. It evolved from Dittler Brothers that managed travel schedule information since 1923. Offering a giant database to the airlines, it also started offering IT solutions with emerging internet technologies. 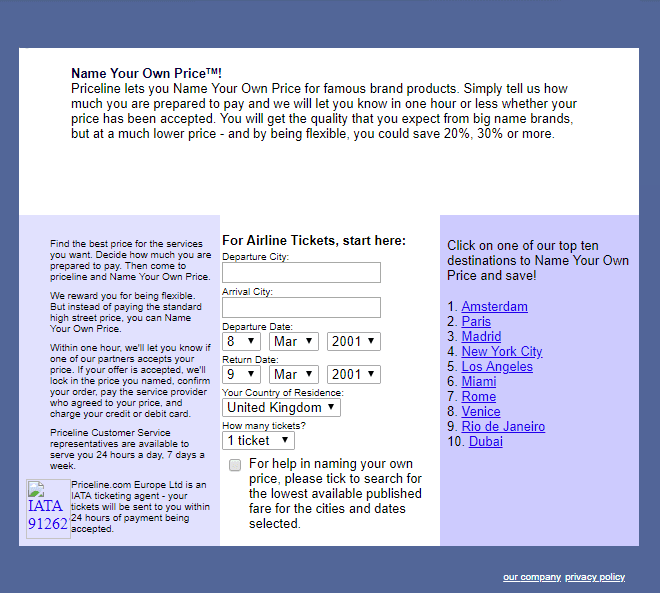 The business model of Priceline was based on finding the “expiring” tickets through Worldspan GDS. Airlines struggled to fill the plane to capacity. That’s why carriers were interested in selling the remaining seats almost for nothing. So, customers were able to search for a flight, set their maximum budget, and the system would find the seat that matched this bid. Interestingly, the name of the service, Priceline, probably originated from the line that was covering the “price” section of the flight. It was called a “bid priceline,” and the customer was unable to see the real price of the ticket. Hotwire was founded in 2000 by American, Northwest, Delta, United, Continental Airlines, and a group of tech providers. 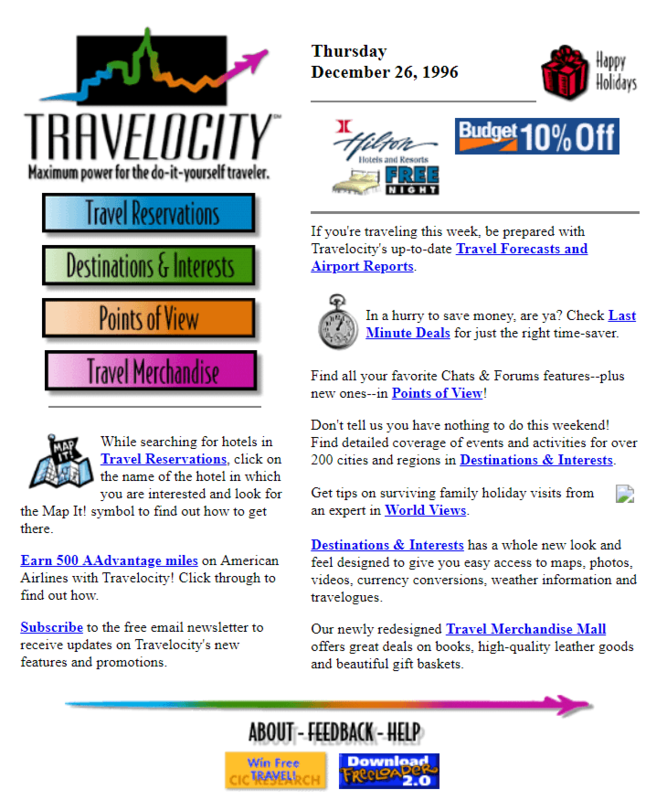 Soon it became a travel website offering airline tickets, hotel bookings, and rental cars for discount prices. In 2005, founders of Expedia, Inc. merged it with several travel websites, including Hotwire.com, TripAdvisor.com, and Hotels.com. 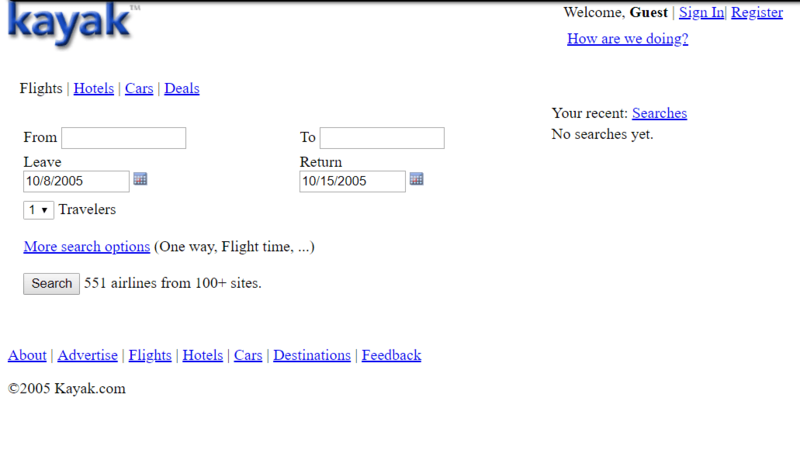 Orbitz.com, travel meta-search, and travel data-consolidator website was launched. The initial investors and founders were American, Northwest, Delta, United, and Continental airlines. KAYAK.com was founded in 2004 by Orbitz owners as another travel meta-search engine and fare aggregator. Both websites will grow to become the biggest travel booking platforms. KAYAK will expand to the international level in 2010, acquiring several smaller travel websites across Europe. All these platforms participated in GDS-centered distribution from the beginning of the internet era. Internet consolidators and data aggregators sourced the flight information from GDSs, making its nearly impossible for airlines to drive direct traffic to their websites. Nevertheless, for the customers, online booking became convenient. As the statistics by Mashable show, by 2012, about 98 percent or 117 million travelers who browsed flights on the Internet booked their tickets online. From 2002 to 2004, a group of entrepreneurs founded Skyscanner, a fare aggregator, and flight meta-search engine website. The aim was to provide a search engine for finding cheap flights. Soon, the platform became international, acquiring several travel websites (Zoombu, Youbibi, and Travel.com) during the 2010s. Today, Skyscanner remains an independent company, showing different flight deals by OTAs and carriers. Skyscanner is also a powerful competitor of Expedia, Travelocity, and KAYAK. Travelport was formed in 2006 from previously existing Travel Distribution Services (TDS). TDS owned Galileo International since 2001. After TDS reformed, Galileo (including Apollo systems) was passed to Travelport. The same year, Travelport announced its acquisition of another GDS system, Worldspan. The deal was finished in 2007 when Worldspan joined Travelport. In the early 2000s, three major global distribution systems (Amadeus, SABRE, and Travelport) took their final form, becoming the biggest distribution system in the world, a position they maintain today. Interestingly, the industry hasn’t experienced drastic changes since then, as the GDS-driven oligopoly with three providers dominating 99.9 percent of the global GDS market still exists. And it seems things aren’t going to change soon. Online booking became a reliable alternative to phone sales for nearly all the airlines and travel agencies in the early 2000s. Technology providers, GDSs, and airlines started to create the first travel APIs in the second part of the 2000s. These were used to source flights and any kind of travel data. One of the first travel APIs traces back to 2006, the XML API by AirKiosk. Meanwhile, mobile technologies became more advanced with the emergence of smartphones and 3G internet connection. Furthermore, mobile websites and applications became capable of connecting with APIs to source and update data. For that reason, travel technology providers focused on developing ways to book flights right from mobile phones. KAYAK’s application for iOS launched in 2009 can be considered the first example of a mobile travel application. Since early 2010, mobile websites and applications have become a standard in the travel industry. 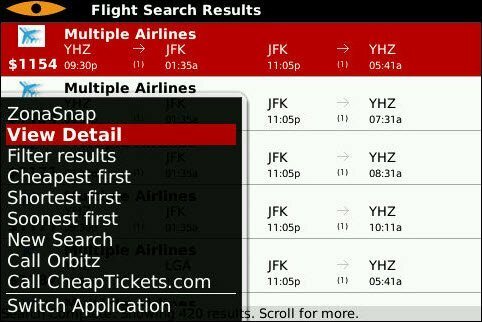 Soon, all the other travel meta-search engines, OTAs, airlines, and fare booking tools came up with their own mobile apps. Additionally, passengers could now use their smartphones as an electronic ticket by scanning a barcode, a standard today. Google announced its plans to acquire ITA software company in 2011. ITA was a travel technology company that developed a pricing system QPX. It was used by numerous companies like American, Delta, US Airways, KAYAK, and Orbitz. The announcement followed the actual acquisition of the company, resulting in the release of Google Flights platform the same year. Google used algorithms developed by ITA to create a competitive booking meta-search engine that would facilitate reservations via third-party suppliers. 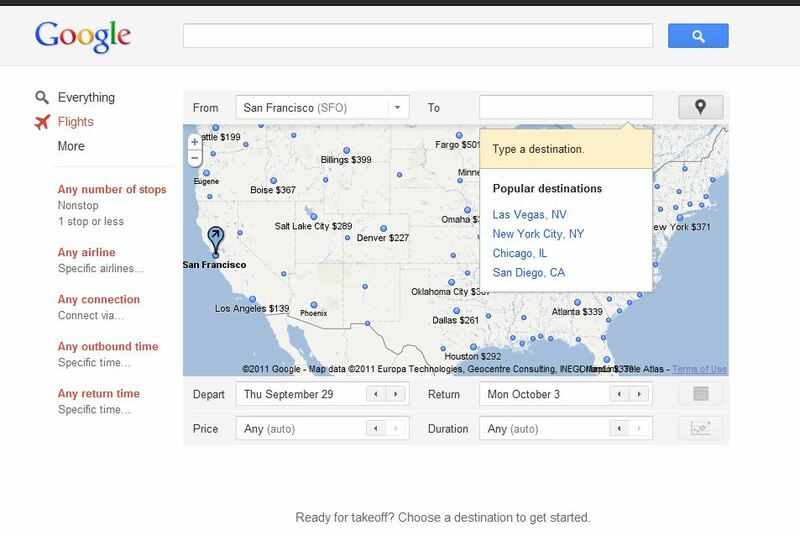 Additionally, Google Flights supported direct bookings, which became a superior feature for airlines. Customer-wise, the platform offered a number of unique features, such as daily flight price calculation, or various search filters that allowed Google’s service to withstand competition. With the rise of mobile internet, social networks have also occupied a tangible part of the travel market. 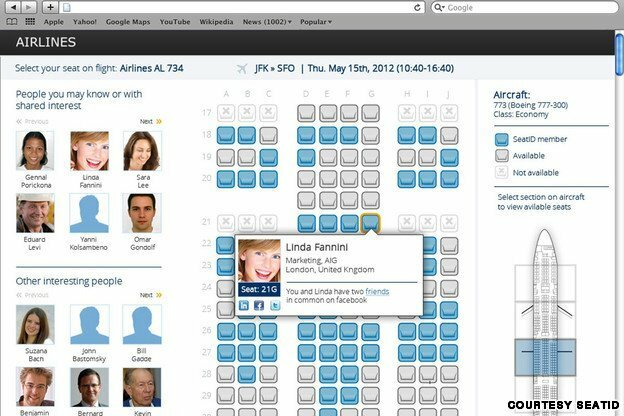 An exceptional example of using social networks in online booking is Meet & Seat by KLM. KLM managed to integrate social networking with the seat allocation process. Sharing the link of your Facebook or LinkedIn profile, KLM allows you to see who will sit next to you, and choose the place based on social profiles. Since the founding of Expedia.com, Microsoft sold the website itself and Expedia, Inc., to InterActiveCorp in 2003. From then on, Expedia, Inc. has swept the market absorbing numerous travel companies, online travel agencies, meta-searches, and booking platforms. At the beginning of 2015, Expedia, Inc. acquired its biggest rivals in the field of travel booking websites. In January Expedia bought Travelocity from SABRE after two years of partnership. The acquisition of Orbitz followed later the same month. 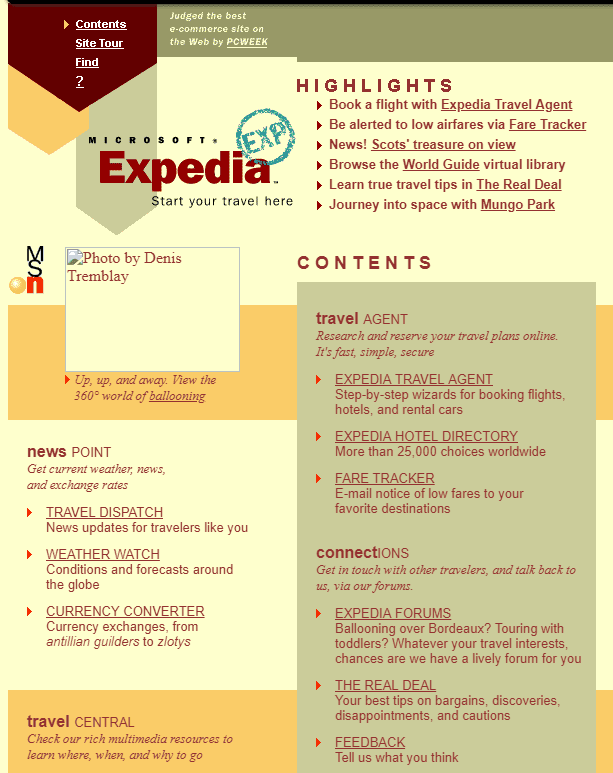 At that moment, Expedia became one of the largest travel booking websites. Since 2015, Expedia Group (formerly Expedia, Inc.) owns CarRentals.com, CheapTickets, Expedia.com, HomeAway, Hotels.com, Hotwire.com, Orbitz, Travelocity, trivago, and Venere.com. Meanwhile, Priceline.com becomes a part of Booking Holdings (another large group of travel websites), the travel website with the highest revenues for the last couple of years. For 2019 online booking experienced several minor enhancements, generally connected with overall technical progress. Online payment systems became much more secure, providing fast processing, or even transactions with cryptocurrencies. A common mobile application now allows a leisure customer to plan a week-long trip in minutes, book flights, hotel rooms, and rent cars in just a few taps. The distribution system gradually changes year after year. An example of the recent changes is New Distribution Capability (NDC) that has been around since 2012. Although it didn’t bring revolutionary shifts, it forced GDSs to implement more modern data transmission channels to distribute ancillaries to customers. For that reason, more online booking platforms and OTAs gained access to rich content, allowing customers to choose their seats, order onboard food, or place extra baggage. Various tech devices made it easy for the end user to access travel data, compare prices, and book electronic tickets stored in smartphone memory. But even now, all flight information still comes from GDSs by channels established in the 1960s.